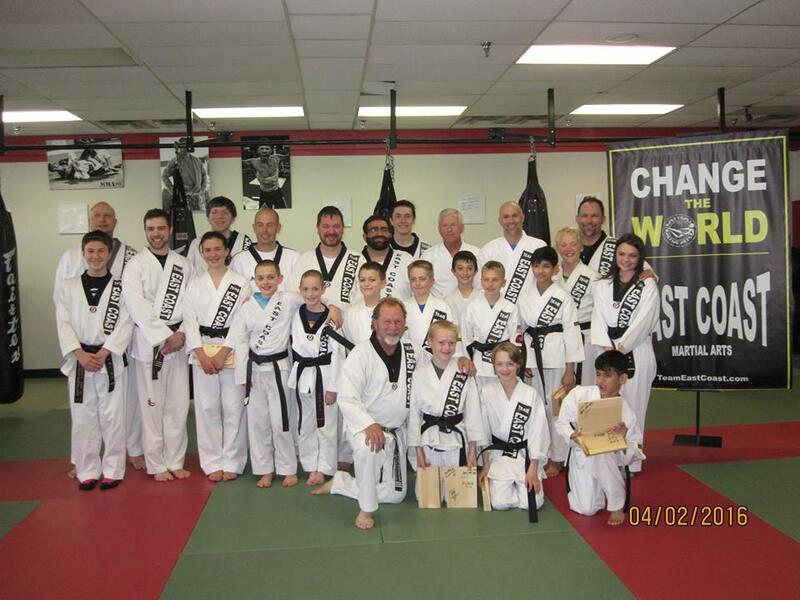 East Coast Martial Arts promoted 12 students at a black belt test on April 2. 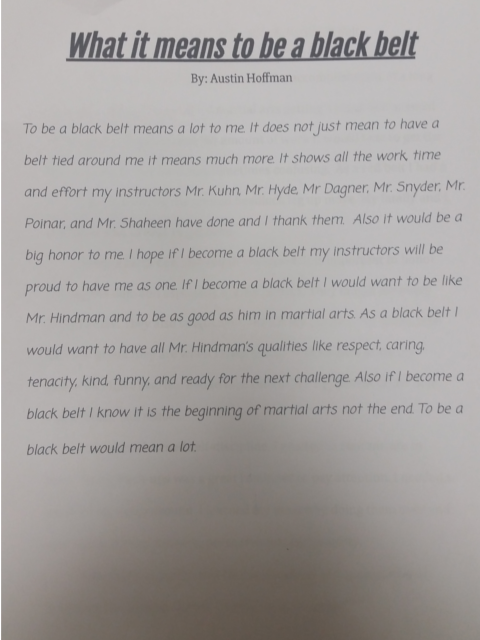 Students testing for a black belt are required to write an essay about what a black belt means to them. 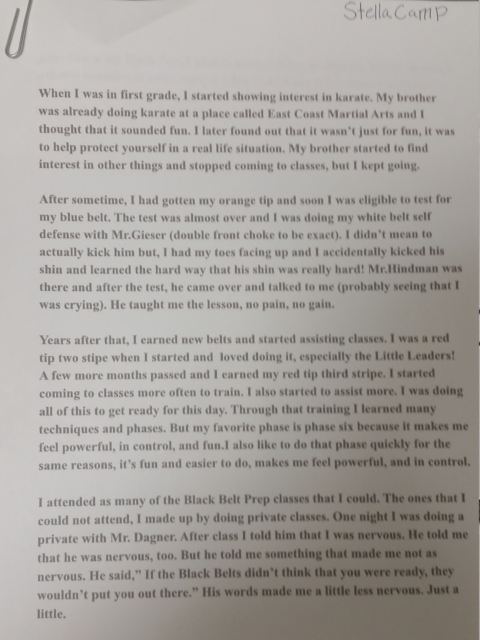 We’ll share the first page of these essays at the end of this blog post, but first, we had a chance to catch up with Travis Dagner to get his take on the test. Mr. Dagner not only had students testing, but he was being tested himself. EC: So what belt did you test for? TD: It was my 4th degree or dan. EC: When did you start training? TD: I started training in 1999. EC: You are so young. 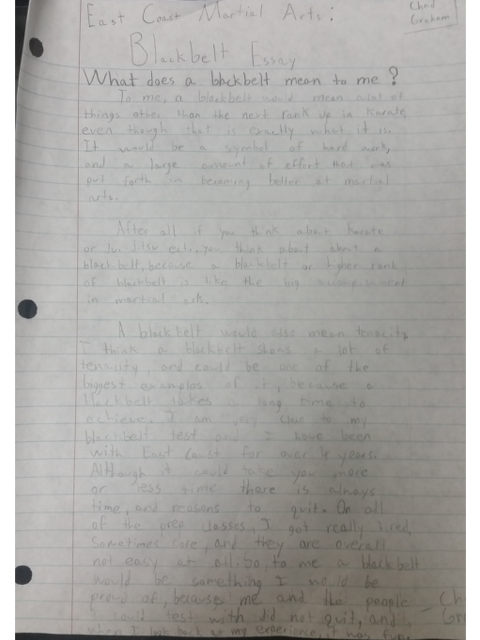 EC: Travis, what was it like taking part in a test in which you also had students testing? TD: It was a lot of pressure. 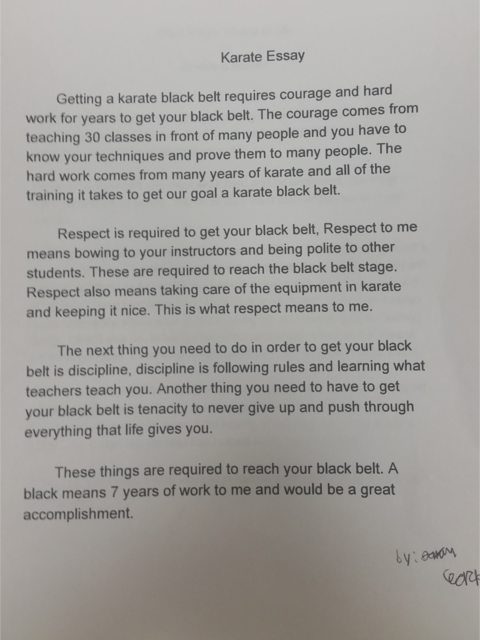 As an instructor, I want my students to do well. I love watching the kids. They are scared and nervous and they go out there and give 110%. As an student, I had to prepare myself as well. I wanted to prepare the kids, but had to prepare myself too. I’m proud of those kids because it is a time commitment, not just a year or two. 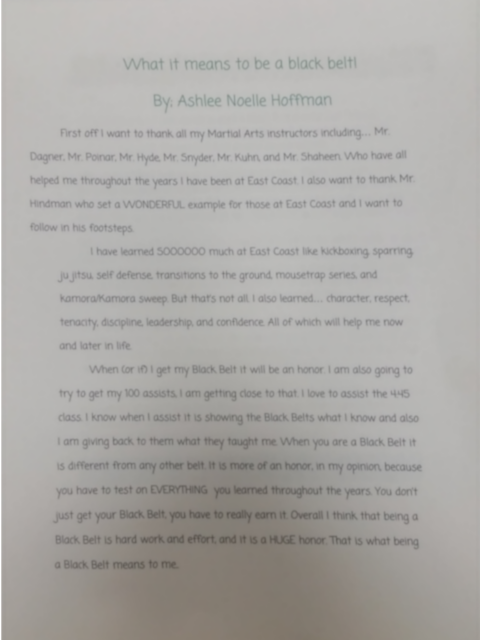 EC: How long does it take a student to get a black belt? TD: Our average is 3.5 to 4 years, plus they have to help teach 30 different classes to improve their leadership skills. EC: Are you still taking classes at Kent State? TD: Yes, I’m a full time student at Kent. EC: What are you studying? 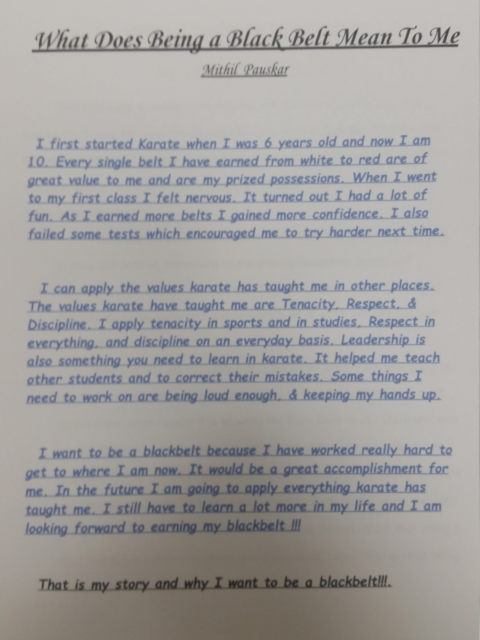 EC: Is there anything that you have learned in the martial arts that will help you in management? TD: You always hear people complain about how terrible their managers are and it’s because their managers never learned how to be a leader. They never learned how to listen and show respect for other people so that you yourself gain respect. You can’t ask someone to do something you yourself aren’t willing to do. If I can’t take 5 minutes to help a student outside of class, I can’t ask anyone else to do it. It’s the same in business. EC: Is there anything else you would like to add? TD: It takes a village. We have all these great instructors. That’s recognition for not only helping the kids, but they help me as well. It’s a family here. 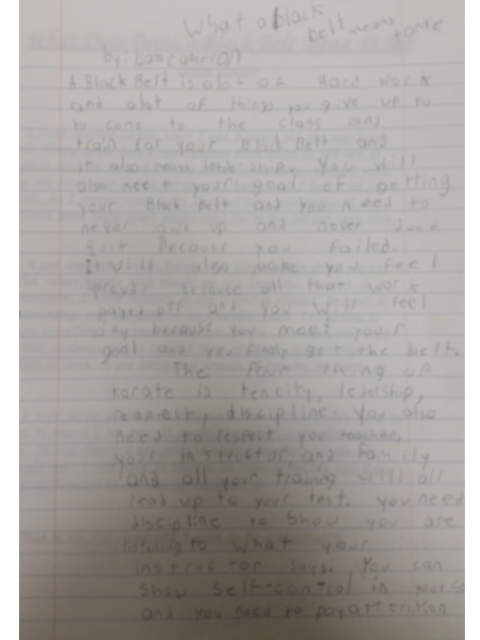 Our students often make us proud. 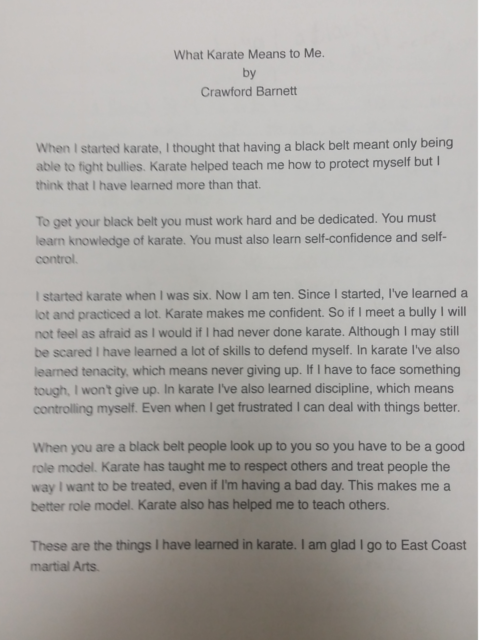 This is another example of East Coast Martial Arts students displaying character, confidence and leadership in the community. 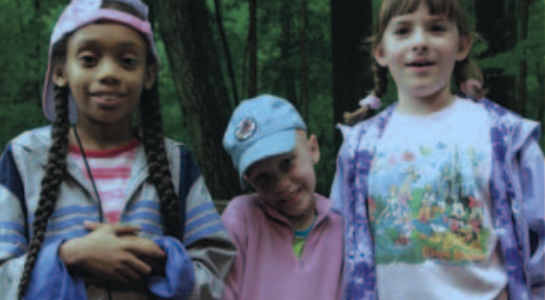 Before highlighting these young leaders, we would like to acknowledge St. Baldrick’s for the work they do. 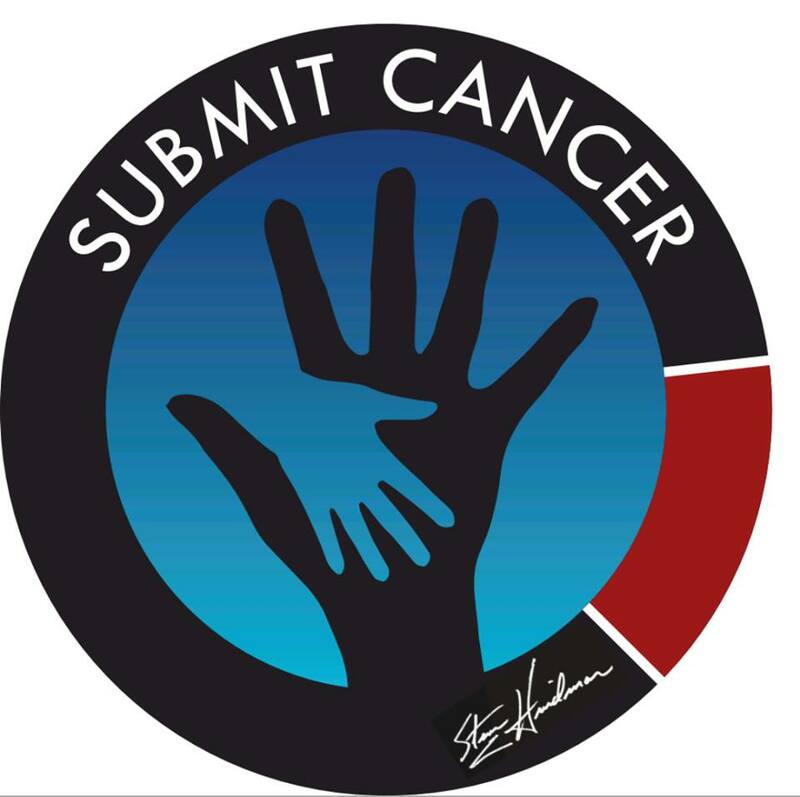 Worldwide, 175,000 children are diagnosed with cancer each year. And in the U.S., more children die of childhood cancer than any other disease—more than AIDS, asthma, cystic fibrosis, congenital anomalies and diabetes combined. 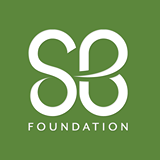 St. Baldrick’s head-shaving events began as a challenge between businessmen and have grown from one event in 2000 to over 1,300 events in 2013, raising critical funds for childhood cancer research. Ben and Aiden attend Strausser Elementary. 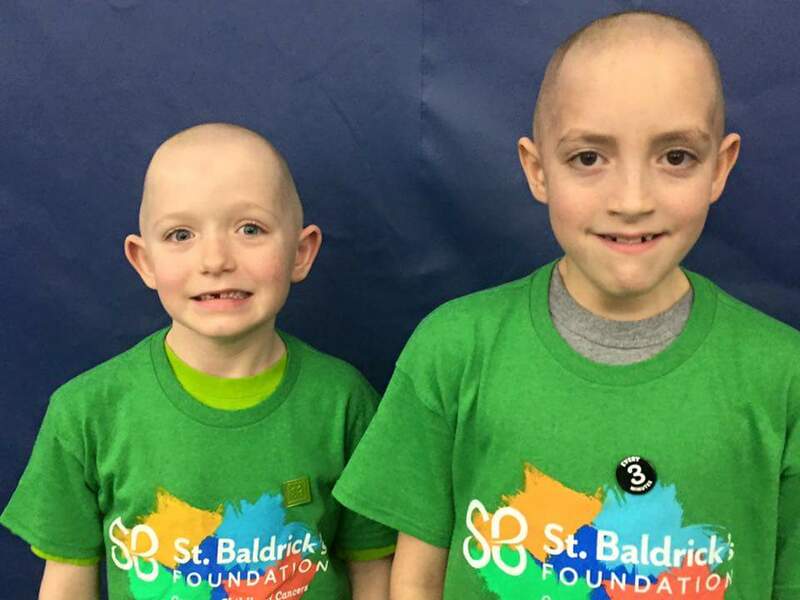 Ten year old Aiden and younger brother, Ben (6 years old), attended the St. Baldrick’s Foundation event. This is Aiden’s second time participating and Ben’s first. Both said their favorite parts were being able to raise money for other kids who needed it and getting their heads shaved! Charlie Wahl is a second grader at Strausser Elementary. This was Charlie’s first year participating in St Baldrick’s Foundation. 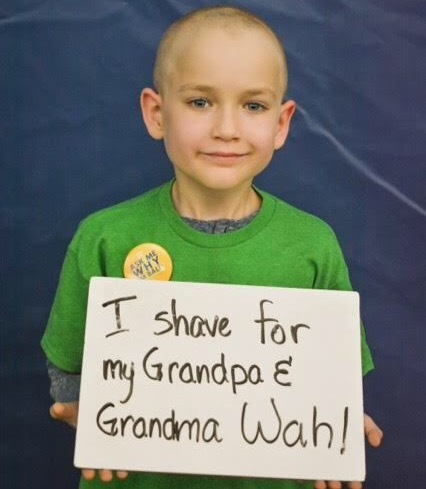 Charlie wanted to participate to honor his Grandma and Grandpa Wahl, who he never got to meet because of cancer. Charlie wanted to raise funds to help find medication and treatment suitable for children with cancer. 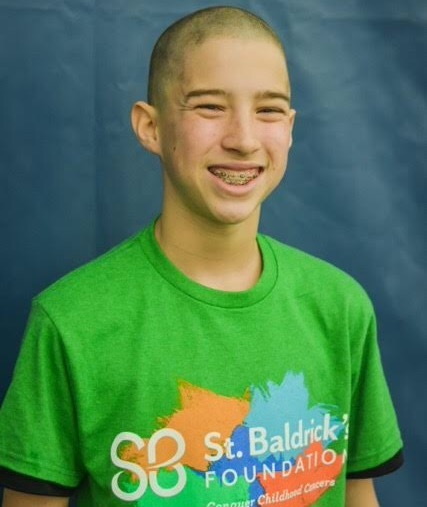 Nate, 13 years old of North Canton Middle School, says his favorite part of participating with St. Baldrick’s Foundation is knowing that he is helping out others. 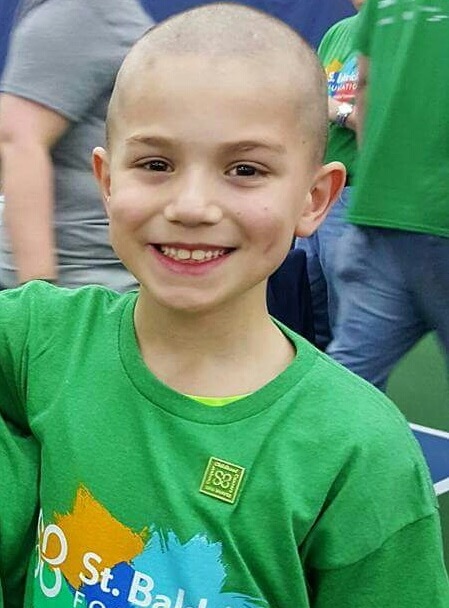 When Mason was asked what he liked best about participating in St. Baldricks fundraiser event, he said: “I liked that I was able to raise money for childhood cancer, but what was most shocking and impressed me was HOW MANY other kids, and how many people were there to do the same!” It made him so proud and hopeful that so many people were together in support of such a good cause — not just the kids shaving their heads — parents, friends, neighbors, so many people in our community! Great work guys. We are proud of you. Keep leading by example. 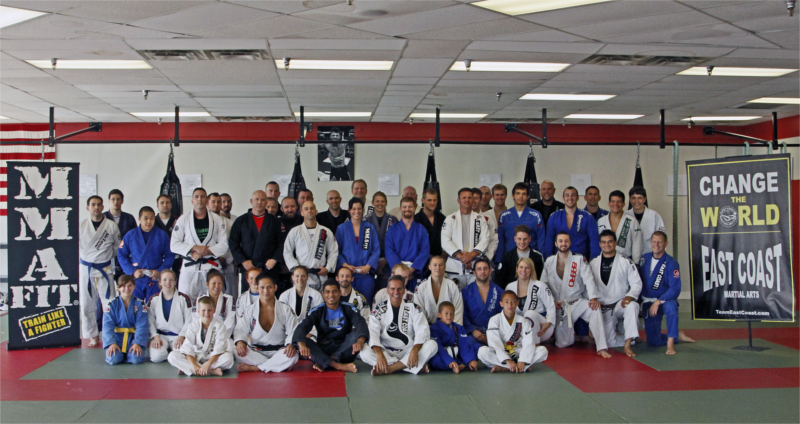 Lucas Lepri put on an outstanding Brazilian Jiu-Jitsu seminar at East Coast Martial Arts. Lepri is a world class professor as well as competitor. We were honored to have him at an event so close to our heart. Lepri started off with some slick subs from a transition to mount. Then he showed the best deep half guard pass in existence. He followed that up with a way to break the lapel grip once it is fed through the legs in sitting guard and how to attack with submissions from there. Once the instruction was over, Lepri took the time to train with people from the seminar and take photos with anyone who wanted them. Lepri could not have been any more helpful or kind with his time and knowledge. 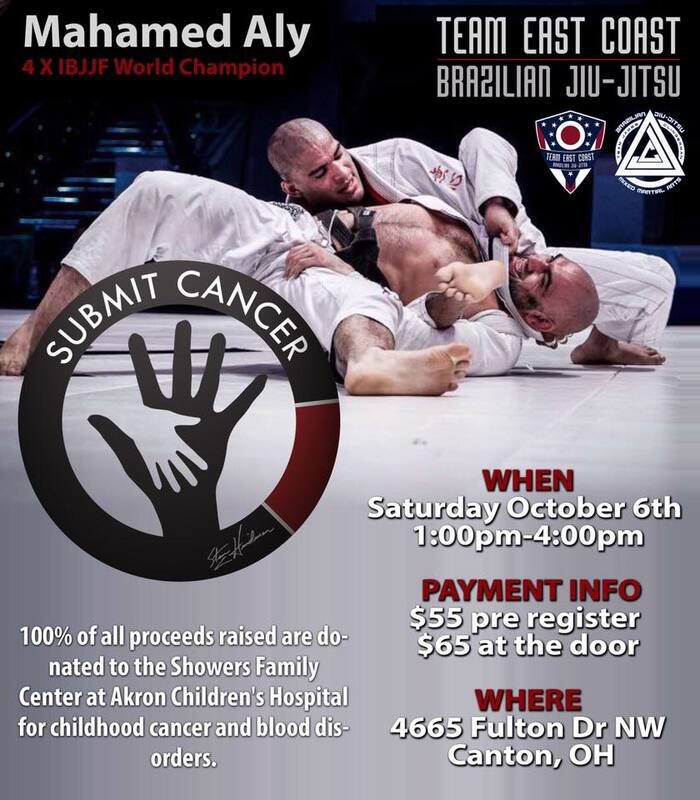 The Annual Cancer Awareness Seminar is a great way for the community to enjoy jiu-jitsu and give something back. 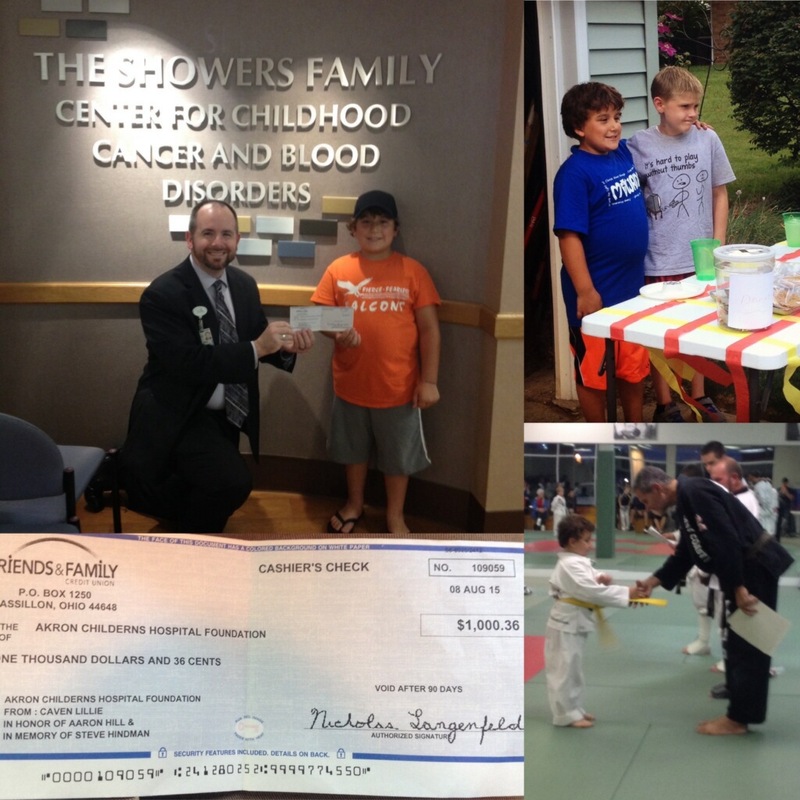 This year we raised more than $6,000 and counting for the Shower’s Center at Akron Children’s. If you were not able to attend, but would still like to support the cause, shirts are available for $20. All proceeds from shirt sales will be added to the donation. The shirts are going fast. We will do our best to update availability on this form. Please be aware that we may not have your desired size in stock. If you order before we update, we will contact you and refund your account immediately. Thank you for your understanding. Caven is a great kid and has had many positive influences in his life within his family, his school, and the community. One of those influences is his best friend, Aaron, who was diagnosed with leukemia when they were in third grade. Instead of spending his summer playing video games, Caven decided to take action to Change the World. Caven raised $1,000.36 through a donation-only lemonade and fresh cookie stand this summer. He followed in Mr. Hindman’s footsteps and gave the donation to The Showers Family Center for Childhood Cancer and Blood Disorders at Akron Children’s Hospital. When asked where, specifically, he would like the money to go, Caven chose cancer research in hopes that they may find a cure for his friend Aaron. We are very proud of Caven for all he has accomplished! 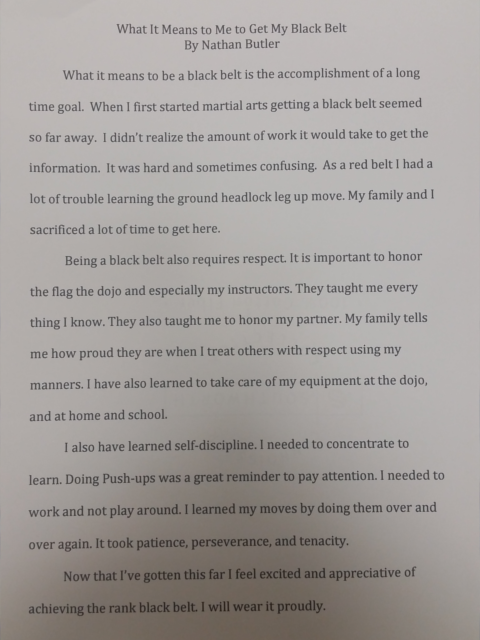 Caven’s family at home and his family here at East Coast Martial Arts would like to thank everyone who has supported this young man, whether it was baking cookies, making signs, or simply getting the word out. Thank you! Caven would like to let everyone know that at this time, Aaron is in remission and enjoying life! 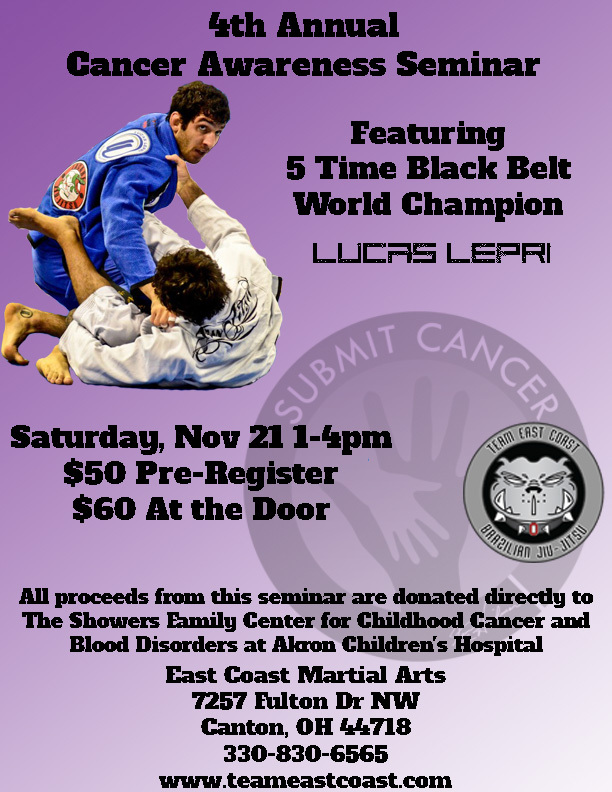 Team East Coast Martial Arts hosts an annual Brazilian Jiu-Jitsu Cancer Awareness Seminar. All proceeds from this seminar go to the Shower’s Family Center for Childhood Cancer and Blood Disorders at Akron Children’s Hospital. 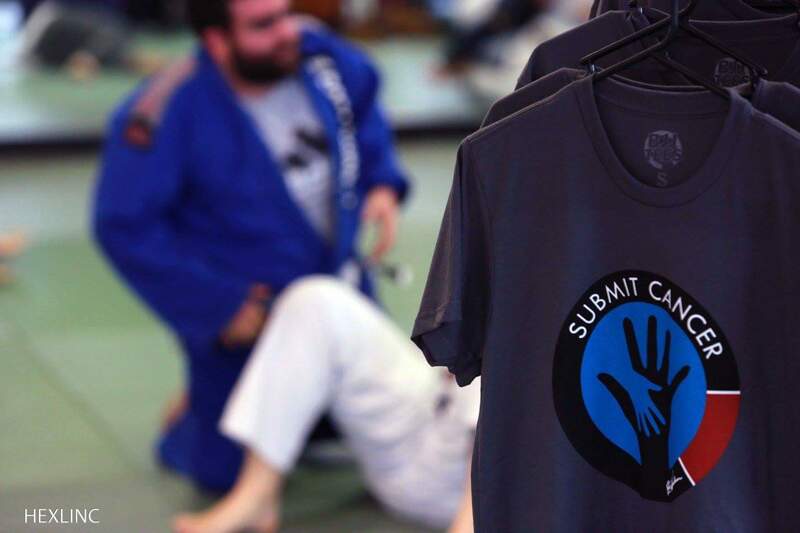 Over the last three years, Team East Coast has been able to raise $15,000 for the Shower’s Family Center with their annual Brazilian Jiu-Jitsu seminar. 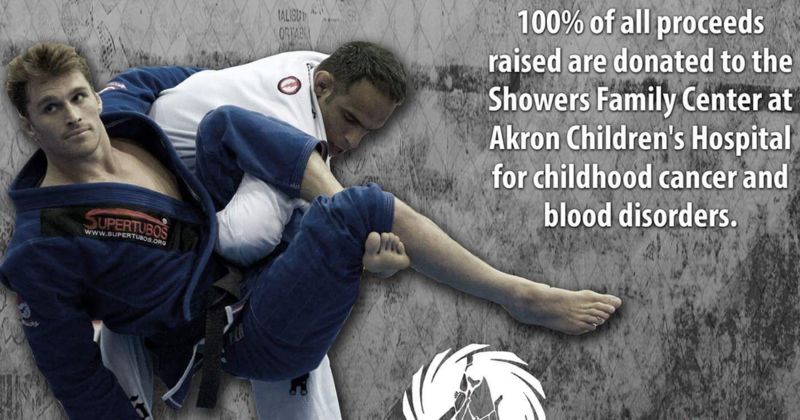 James Clingerman – James taped himself at the seminar, posted it to Fight Hub Headquarters and donated the proceeds to Akron Children’s. 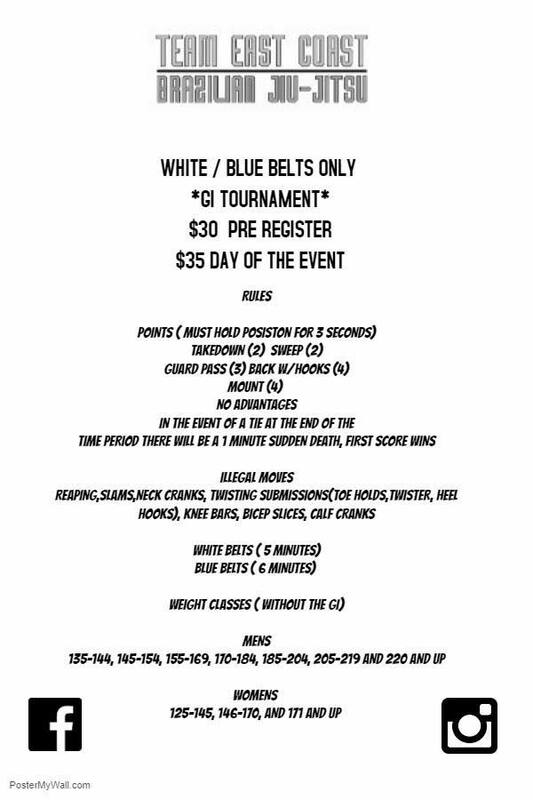 Steven Hindman, founder of East Coast Martial Arts, and creator of the Cancer Awareness Seminar had a five year battle with cancer. To learn more about Steve’s story, visit our tribute post. Our new website wouldn’t feel complete without a tribute to Steve Hindman. 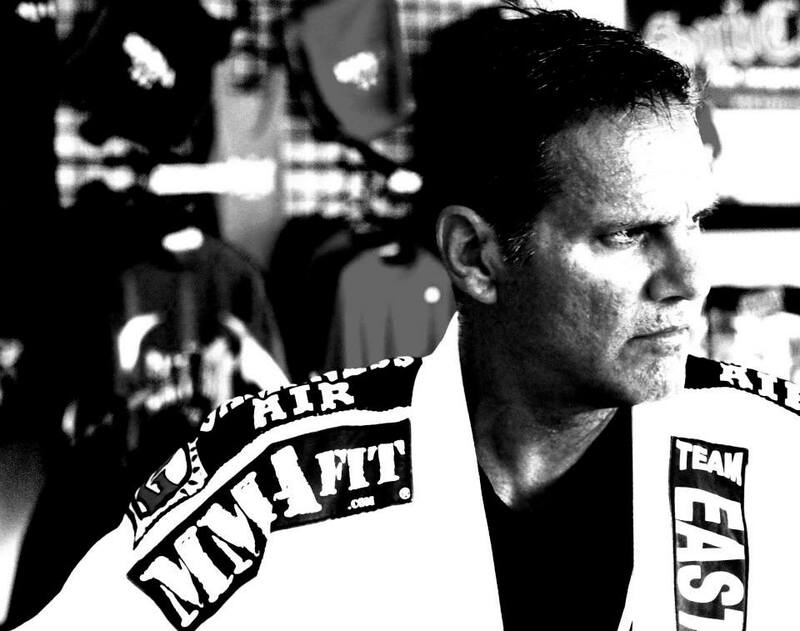 At East Coast Martial Arts, Steve was a leader, teacher, friend, mentor, father figure, and brother. 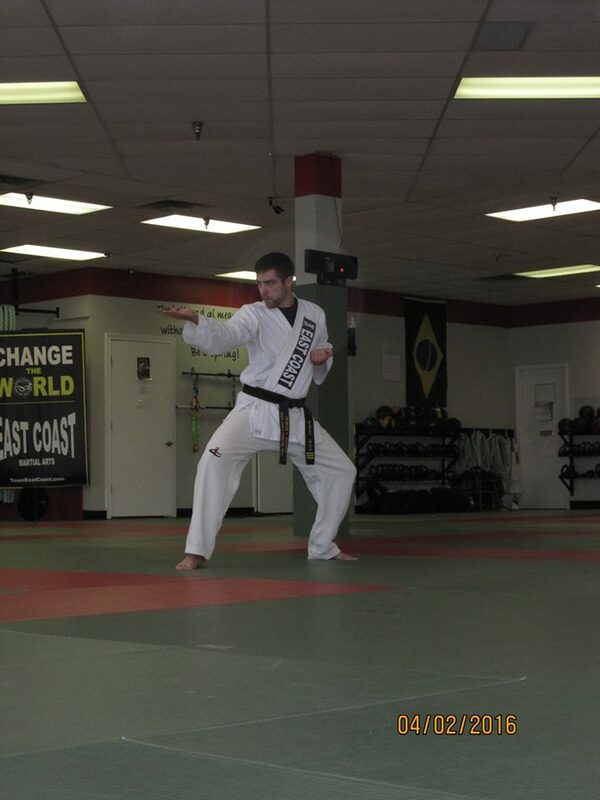 East Coast Martial Arts is Steve’s vision, his hard work, and his passion. Not only is East Coast a place where children and adults learn to be better people, it is a place where members become family; Steve wouldn’t have it any other way. 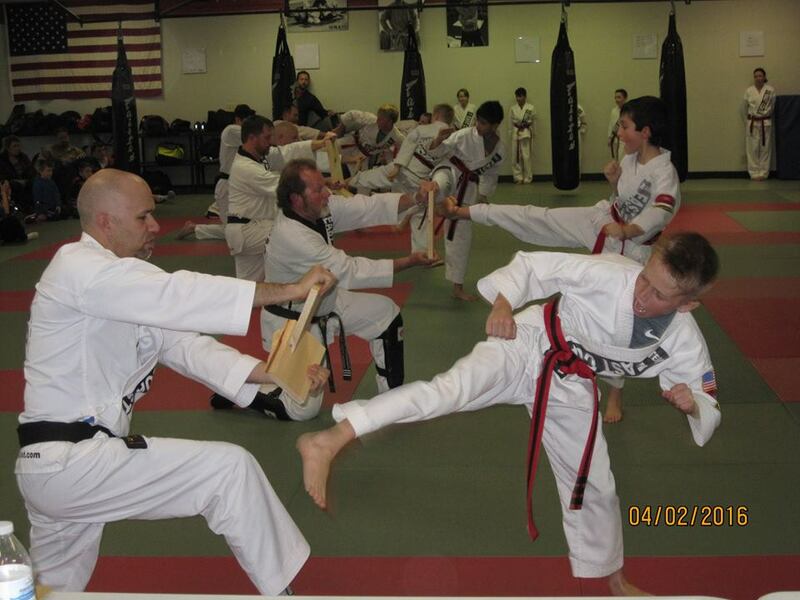 Under Steve’s leadership, East Coast Martial Arts grew from a small, traditional, martial arts gym in his garage, to a 6,000 square foot, modernized martial arts studio, in a state of the art facility. Steve always led by example. He knew that he wanted to build resourceful, adaptive and resilient people who continue to learn and who have the ability to lead. Because of this, Steve was the perpetual student – always learning and changing his curriculum. He was constantly adapting. The teachings at East Coast are a direct result of Steve’s drive to improve and bring the best to his students. Steve truly cared about people. He could hold a conversation with a 5-year-old as easily as he could have a conversation with an adult. His interest in people could be felt with every interaction. 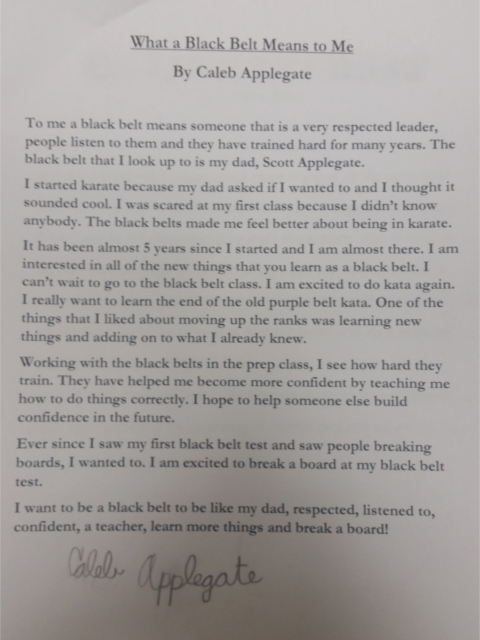 He could train a doctor to be a black belt as easily as he could train a 4 year old to be respectful and confident. This ability took him around the world as he laid down roots for MMA as we know it today in organizations such as PRIDE. As amazing as that is, Steve would never tell you about it. Steve was more excited about the small victories, such as a martial arts student learning a new technique, or an MMAFit student losing their first 5 pounds. Steve was diagnosed with cancer in 2010 and given 3 months to live. Steve made everyday count. He didn’t just survive; he lived. Everyone around him knew he was doing it for us. He would never say it, but knowing Steve, we knew he was leading by example in some of his most challenging moments. Steve always considered those around him in his decisions. This thoughtfulness lead to Steve organizing and hosting the first annual Cancer Awareness Seminar in 2012. 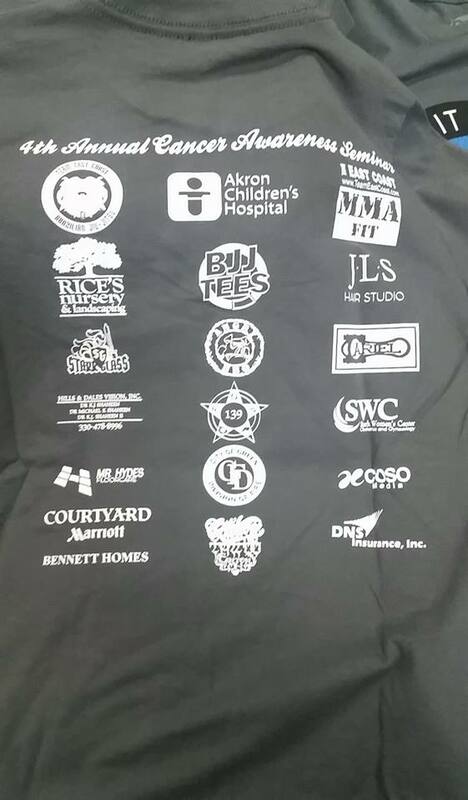 Since then it has raised over $15,000 for the Shower’s Family Center for Childhood Cancer and Blood Disorders at Akron Children’s Hospital. Summer 2013 I had spent one of the best weekends with the Hindman family in South Carolina. They treated me as their own. The teachings and values given to me by Mr Hindman can never be repaid. Nearly 21 years at East Coast and every time I’m there I still continue to learn new things. From the first class at the studio where Mr Hindman taught me himself, to today, I have been blessed to learn from this man. Tomorrow we celebrate the life of a hero, father, friend, teacher, and family man. May the memory of Mr Hindman always live on. 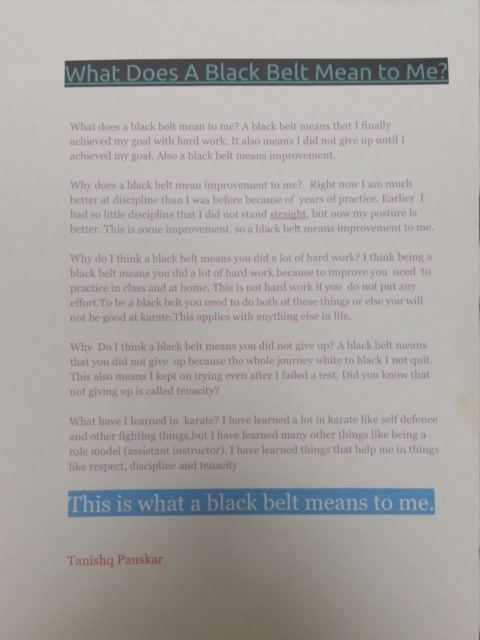 I was at the celebration of life today for Steve Hindman with my mom and it meant a lot to be there and remember how he helped me to achieve my goals in life and also my black belt in karate. 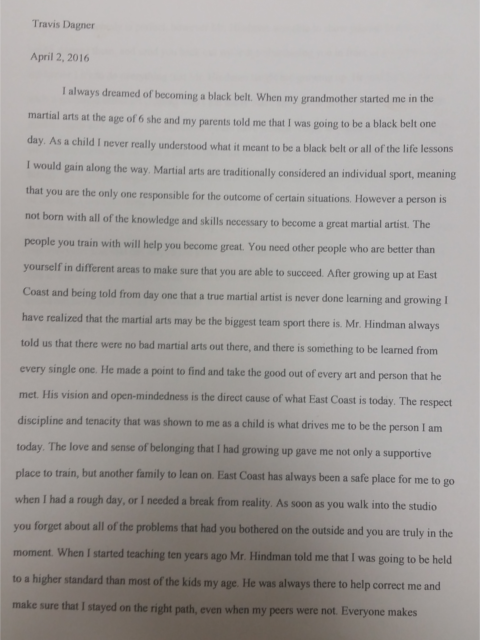 I met Mr. Hindman nine years ago when I started taking karate at East Coast. He was a major inspiration for who I wanted to be in my life. Thank you Tiffany Hindman for having this celebration in honor of him today. He will never be forgotten. True friends are precious in life. Steve Hindman was a true friend to so many including me. I am a better person today for having him as my true friend. I walked in East Coast yesterday and I felt like he was there even knowing he will never step on the mats again. I am grateful for our friendship and I know every time I step into East Coast you will be there with me continuing to be my true and unconditional friend.